Wow. That’s very bold. The lines give it an interesting surface – so it’s not completely abstract. i seem that the photo will hold lots of story for the object even if which is only minimal elements. Cool. 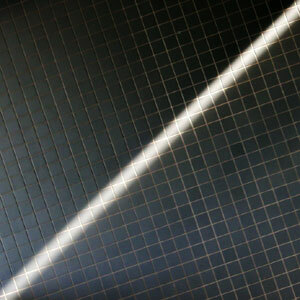 The floor looks bent/warped in the lighted area; the light eliminates the shadow from the grooves, causing it to mismatch with the adjacent tiles. yes. i discovered its lighting effect when adjusting this original photo on my PC monitor. i didn’t know it when taiking the photo.